Contrary to some of the comments on previous posts, I’m really not on a rant about motorcycle gangs or evangelizing that riders join any Rotary Club on wheels. I have noticed that there is a renewed interest and a lot of media attention surrounding television shows on outlaw biker gangs. These shows follow two types of stereotypes, the bad evil biker dudes or the cuddly “Wild Hogs“. 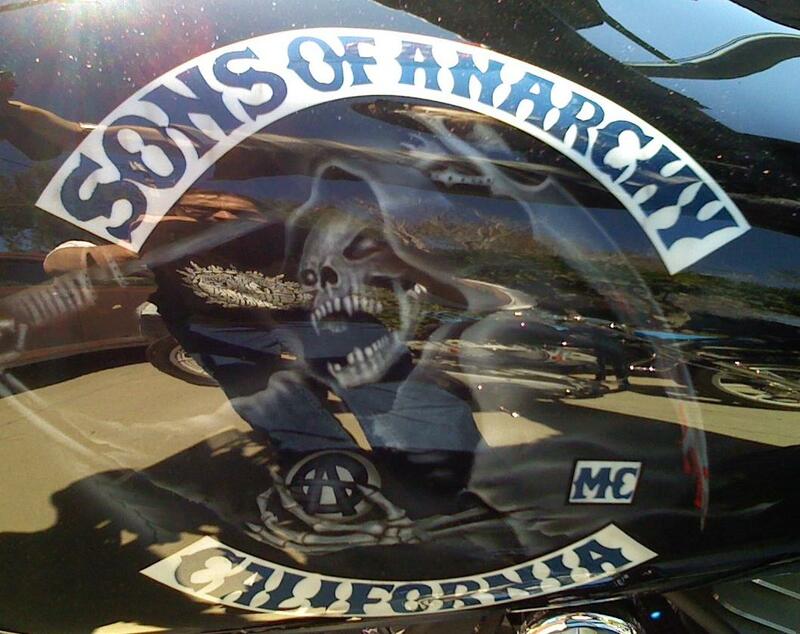 The latest is the FX cable network which ordered up 13-episodes of the drama series called “Sons of Anarchy,” which centers on an outlaw biker “club” and how the club’s efforts to protect its home in fictional Charming, Calif., from suburbanization. The show was originally called “Forever Sam Crow”, however, the litigation happy Hells Angels caught wind of the pilot from Kurt Sutter (writer & director) who was in a Variety interview and there were references to a specific Northern CA. motorcycle “club”…shortly after the interview hit the newswire they received a cease and desist notice from the same “club”. Something about copyright infringement so, the name of the TV show and club was changed. This is reminiscent of last years lawsuit filed in U.S. District Court of CA where the Hells Angels Motorcycle Corporation claimed the characters in the Disney movie “Wild Hogs” were identified as members of the “club”. I don’t know about you, but Dudley didn’t make me nervous sporting leather clad gear and a do-rag. And then there’s HBO’s show under development called “1%” from “The Player” writer Michael Tolkin about a biker “club” in small-town Arizona. 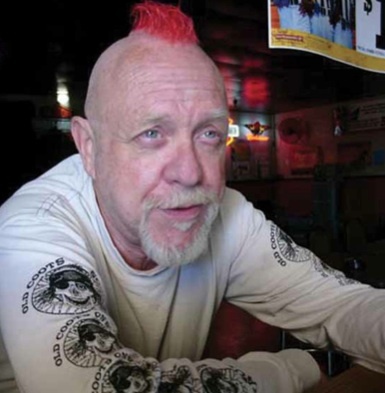 The outlaw biker gang phenomenon has always made for interesting debate, but with the media getting involved things have gotten dicey because some of the actual places named and used in the script were identifiably associated with Sonny Barger and the Hells Angels (such as the primary location being Carefree, AZ, which is the town adjacent to where Barger presently resides, and that the principal character moved there from Northern CA, which is what Barger did too). Barger’s production company pulled out the litigation play book and sued HBO in Los Angeles. The 60-year old wants the court to declare the “1% Script” as a joint work with Tolkin, enjoin Tolkin and HBO from selling or exhibiting the program, and award compensatory damages for exploiting Barger’s publicity rights. Fritz Clapp is Barger’s attorney to the complaint (courtesy of Reporter blog) contends that the script was developed with Barger’s collaboration, however, HBO, the White Mountain Company, and writer/producer Michael Tolkin cut him out of the project and violated his publicity rights when he demanded changes. Whether you’re a biker “club” (as members say), a gang (as police allege), or a syndicate (as federal agents charge) one thing is clear… do-gooder philanthropists donating to toys-for-tots doesn’t sell anything. But, marauding drug dealers, corruption, crime, murder and mayhem sells advertising and that’s what this is all about. Media companies serving up another dish of nightly violent entertainment for middle-Americans about jack-booted thugs posing as celebrities who are either misunderstood or maligned to get you to buy another tube of toothpaste. I’m thinking Fox should have a “Biker Gang Survival” channel. Let’s call it “American Loser”…the show will make millions! Photo is courtesy of Kurt Sutter blog.